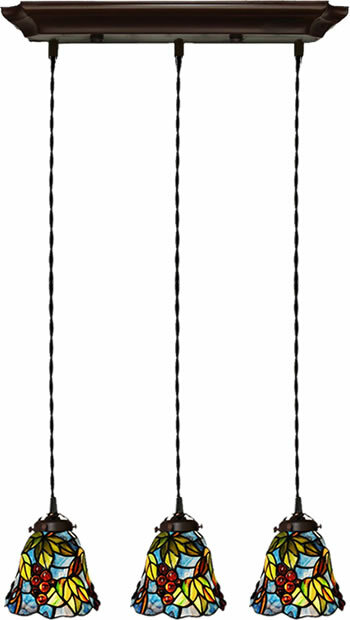 Mount three hooks in any location. 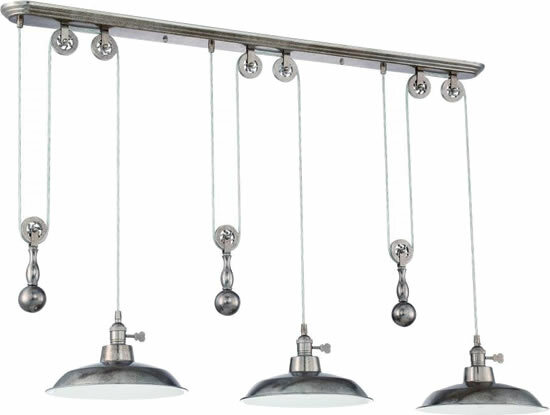 Dimensions: Height 38" x Width 48.8"
Dimensions: Height 38" x Width 8.25"
Width 12.25" x Height 10.25" x Length 35.5"
Inspired by antique, vintage perfume bottles, Riviera's 5-light chandelier in Brushed Nickel or Olde Bronze finish is the perfect touch of retro design. The fluted glass removes easily for cleaning. 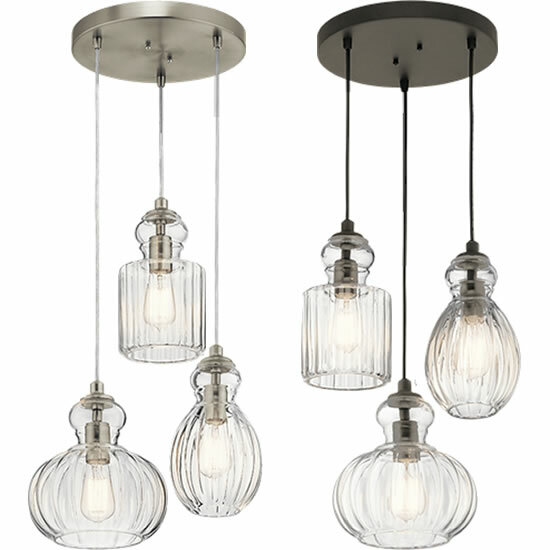 Width 18" x Height 10.25"
Inspired by antique, vintage perfume bottles, Riviera's 3-light pendant cluster in Brushed Nickel or Olde Bronze finish is the perfect touch of retro design. The fluted glass removes easily for cleaning. 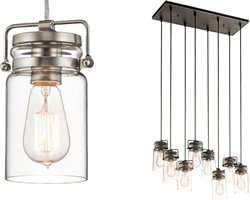 Various pendant shapes and heights give this chandelier a truly distinctive industrial style. 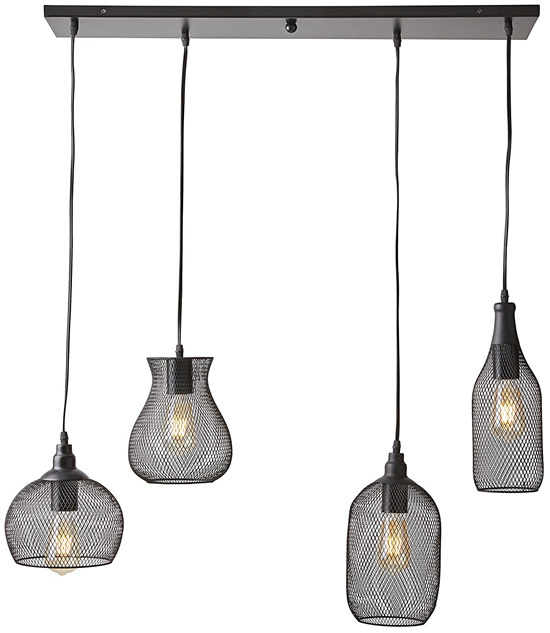 Black metal rods hold mesh shades that diffuse and soften the light. 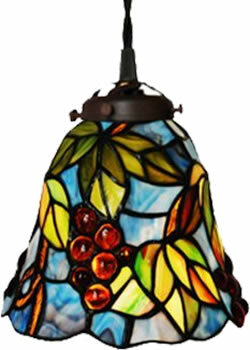 This piece will create a warm, welcoming mood over a kitchen island or a dining table. Dimensions: Width 13.75" x Height 10"
The weathered, urban elements of Menlo Park serve as an audacious ode to the Industrial Age. 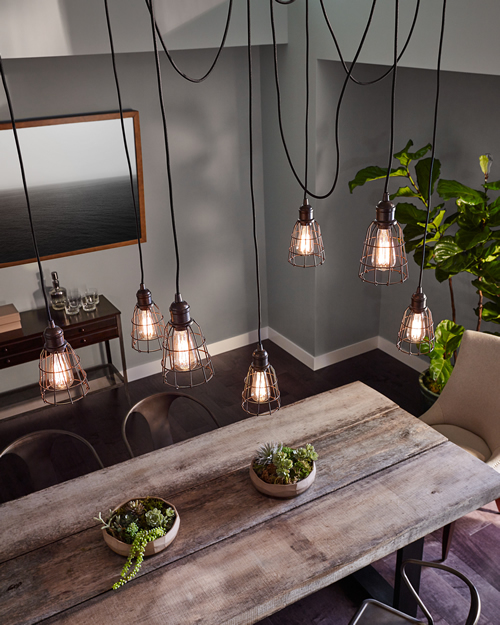 Capturing both contemporary and rustic aesthetics, Menlo Park is suspended by stainless steel and solid brass turnbuckle-style cables, and a circular hand-worked iron base in Old Silver or Deep Bronze finish. 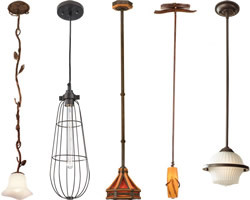 Historic pressed glass insulators function to complement the early electric style lamps. Height 16-49" x Width 21"
Height 22-92" x Width 45"
Dating back to Moravia, hundreds of years ago, the Moravian Star has been a popular motif since Art Deco Movement. 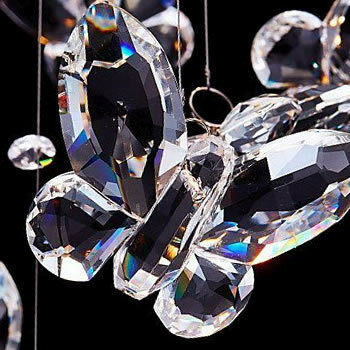 As early as 1931, the Czech artist Heinrich Hoffmann created a Moravian Star of art glass. 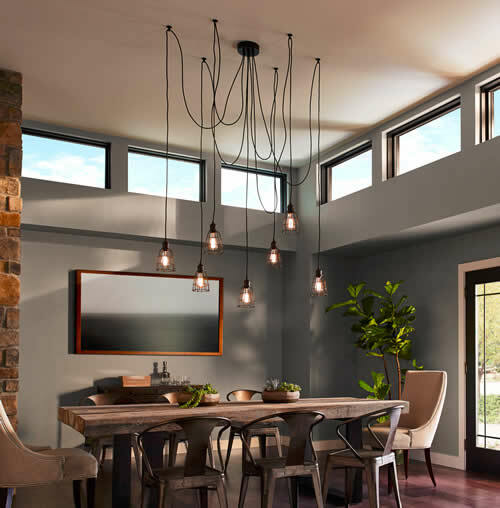 The Meyda Moravian Star Collection includes chandeliers, ceiling lights, table lamps, wall sconces and single and multiple pendants in a variety of sizes. 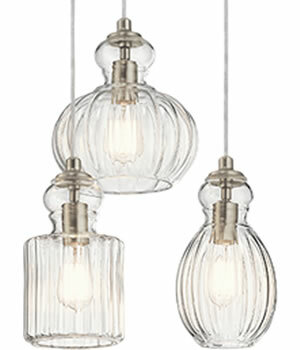 They are available in white, clear seedy, iridescent gold or multi-colored art glass, all with handsome Mahogany Bronze hand applied finish. 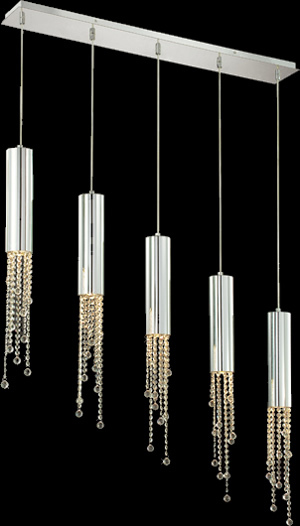 Cable Length 6" to 39"
Hand crafted of art glass, no two items are identical. 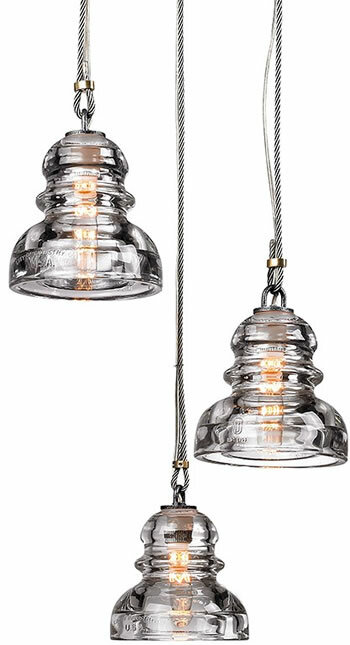 Contemporary 28" Pendant The Odessa Collection features hand wrought iron fixtures in Hammered Silver finish with clear Seeded glass globes. 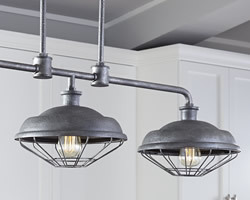 The Hudson 3-light multi-pendant chandelier is a perfect blend of industrial and transitional design with a hint of rustic. 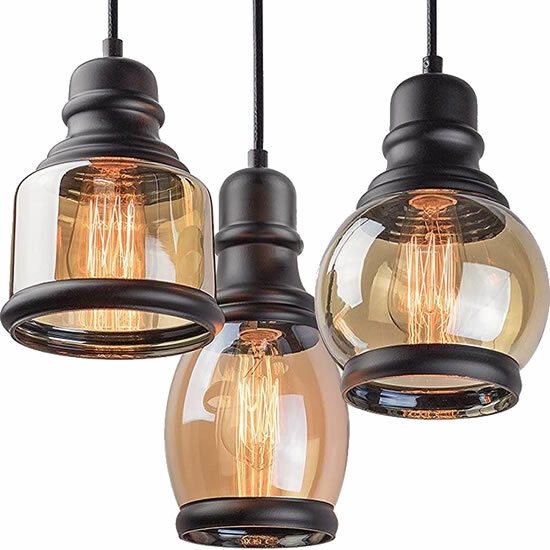 The cluster has three adjustable height pendants with uniquely tinted amber glass shades. 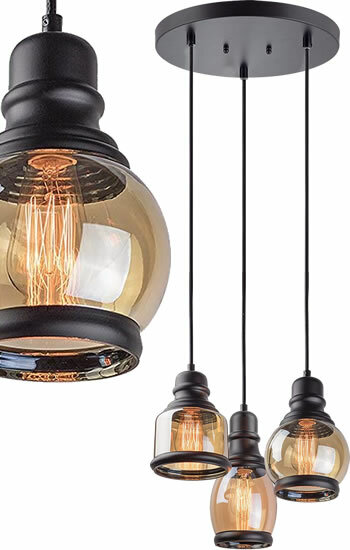 Fixture Height 29.5" x Fixture Width 15.75" x Fixture Length: 15.75"
The vintage style of this 6 light pendant from the Brinley collection gives a beautifully modern treatment to the familiarity and comfort of canning jars. 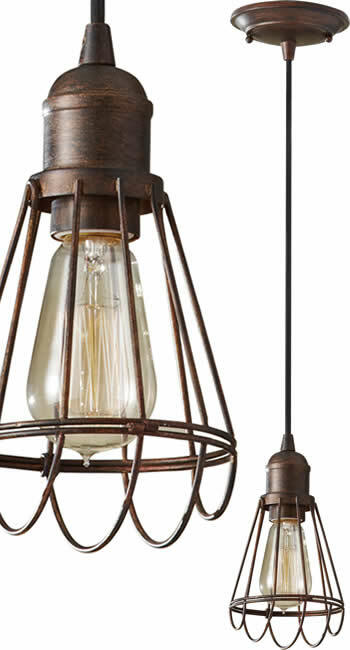 Used in groups or stand-alone, the Brinley Lighting Pendant is a new touch of home in Olde Bronze or Brushed Nickel. 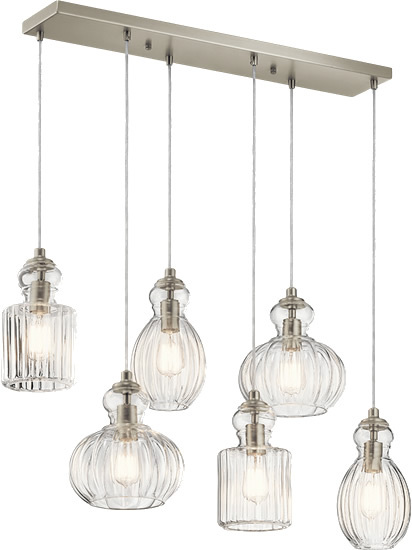 Width 12" x Height 7.75"
The vintage style of this 8-light pendant cluster from the Brinley collection gives a beautifully modern treatment to the familiarity and comfort of canning jars. 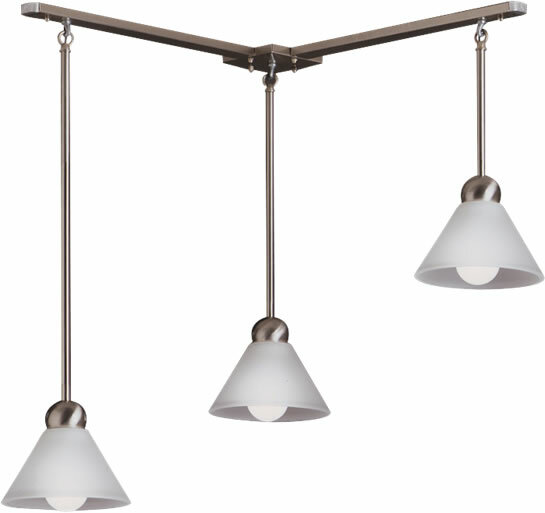 Used in groups or stand-alone, the Brinley collection is a new touch of home in Olde Bronze or Brushed Nickel. 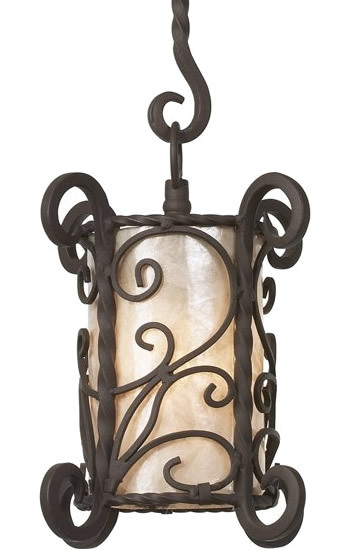 Width 10.25" x Height 7.75" x Length: 25.5"
Dimensions:W: 5 3/16" H: 9 3/16"
Dimensions:W: 5 1/4" H: 9 3/8"
Canopy: Depth: 1 1/8" Diameter: 5 1/4"
The Feiss Urban Renewal lighting collection is inspired by the 20th century Industrial Revolution. 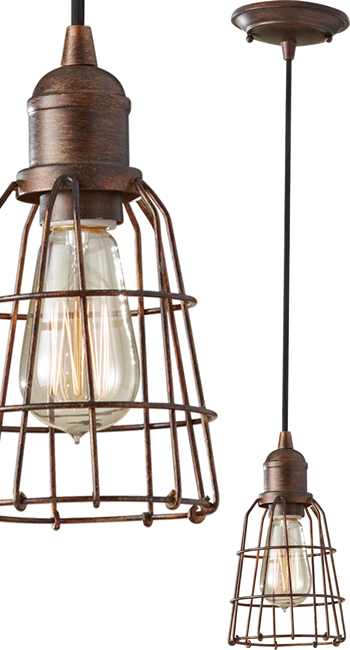 Featuring reproduction pieces from the nation's vintage factories and warehouses, Urban Renewal adds an industrial-inspired aesthetic to any home, flair and fun to classic, traditional decor or to the most sleek, contemporary urban spaces. 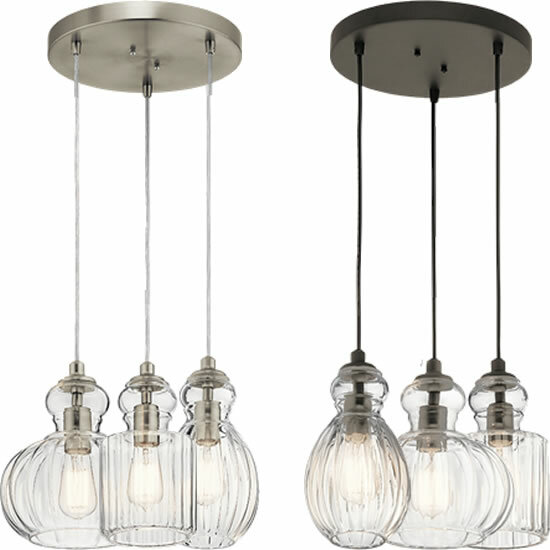 Contemporary 43" Pendant The Odessa Collection features hand wrought iron fixtures in Hammered Silver finish with clear Seeded glass globes. 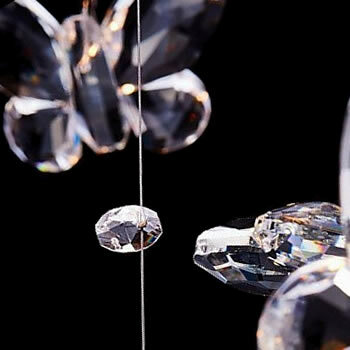 Suspend any 2 or 3 mini pendants or mini chandeliers from a single canopy. 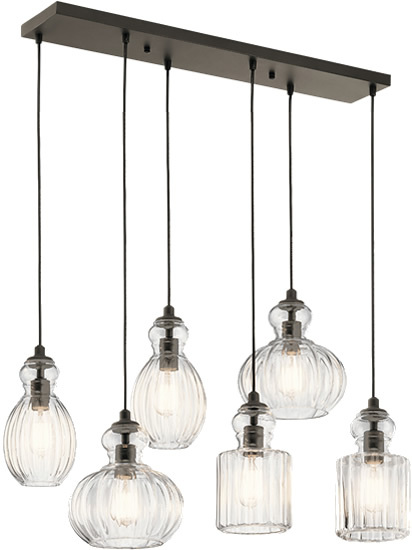 Hang pendants or chandelettes over a kitchen island, breakfast nook, almost anywhere. 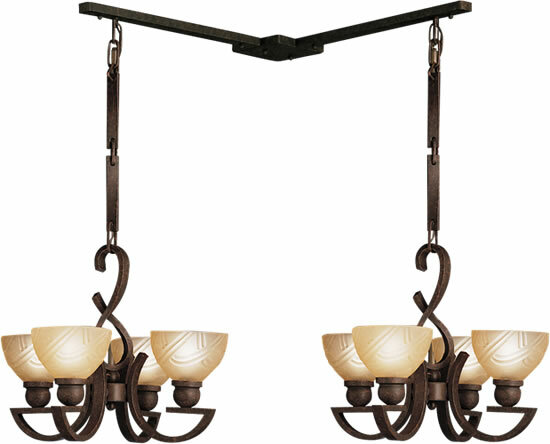 Kit includes a central outlet box canopy cover and (2) 16-1/2" arms with mounting hardware. It's easy and so versatile. 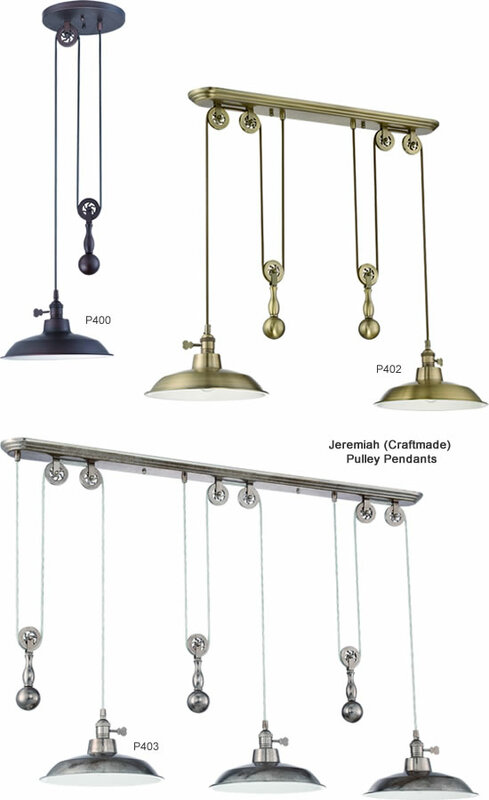 You can create a modular look when you purchase an additional ceiling-mounted suspender kit to add more fixtures. 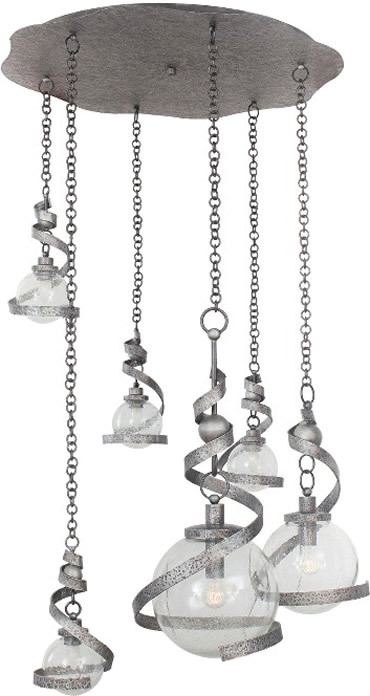 Suspend any 2 or 3 mini pendants or mini chandeliers from a single canopy. The Fossil Pendant was inspired by images of the pre-historic era. 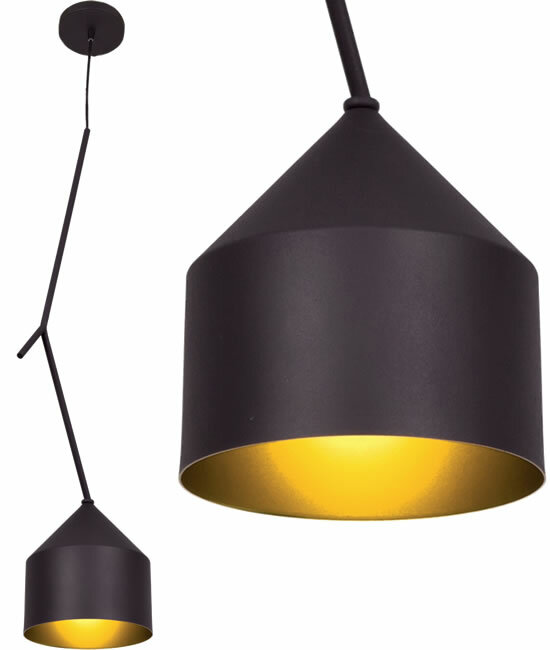 Kalcos exclusive Antique Bronze exterior finish is combined with an Antique Gold interior to create an organic, amorphous piece that glows from the inside out. Single pendant and mini pendants also available. 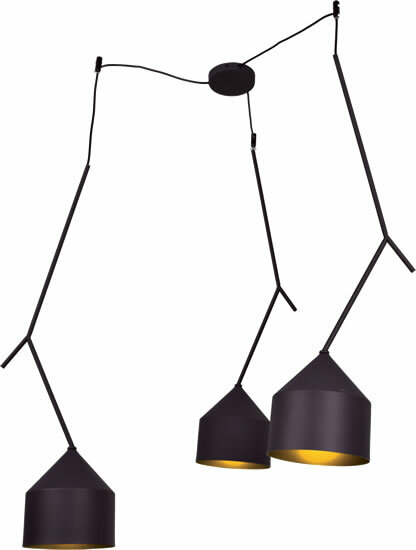 The Marini Collection was inspired by a migrating flock of Monarch butterflies. 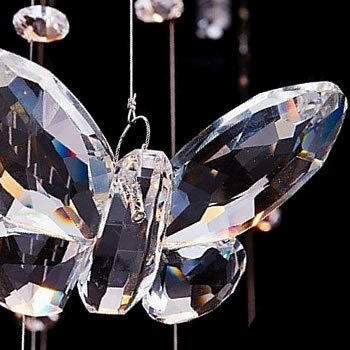 Suspended from a base finished in Allegris exclusive Chrome finish with three down lights, these hand-pressed amber glass butterflies shimmer while hovering in mid-flight. 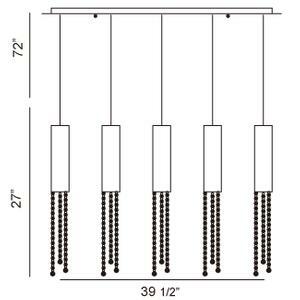 CPMKP-2-ABZ Aged Bronze CPMKP-2-TS Aged Galvanized Max Height 98"
Chain/ Cord Length: 72" x Diameter: 19.5"